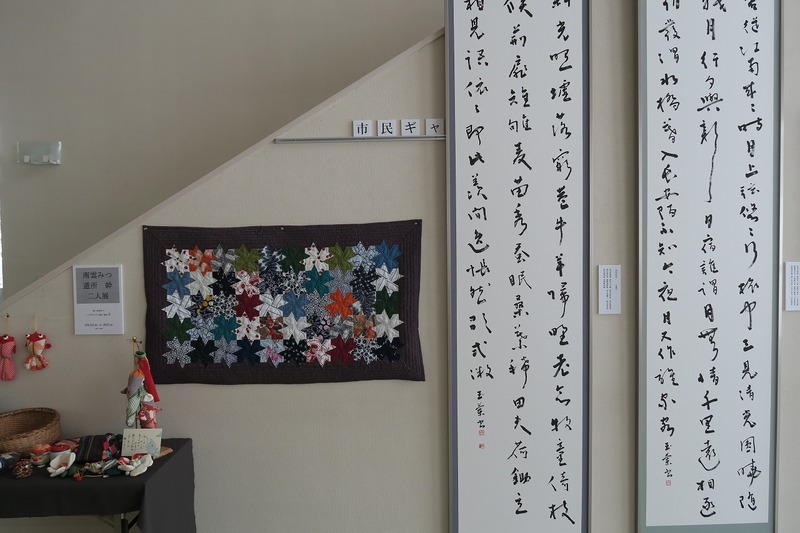 "Ms. Mitsu Nagumo and Ms. Miki Tondokoro Exhibition"
This month, Ms. Mitsu Nagumo's calligraphy, Ms. Miki Tondokoro’s patchwork is displayed. 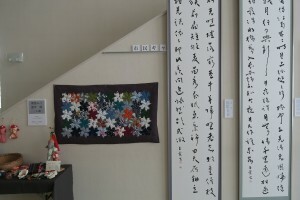 and a work of hanging scroll are exhibited. kinds of bags, goldfish ornaments and so on.